Observation - Coot displaying lobed feet at Linlithgow Loch - UK and Ireland. Description: Good view of lobed feet, birds are fairly tame as they get fed here. 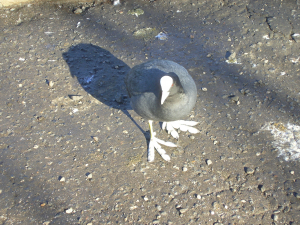 Good view of lobed feet, birds are fairly tame as they get fed here.